We can print all sizes of plans for your next job! Let us get you in and out quickly and conveniently. 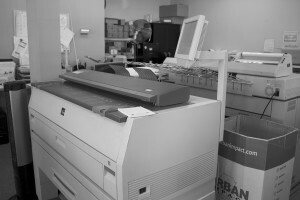 We can print and copy all size plans in greyscale or in color while you wait. Email us ahead of time and we will let you know when they are ready for pick up!